Microsoft Office 2016 (Office 16) is the complete, cross-platform, cross-device solution for the modern workplace. 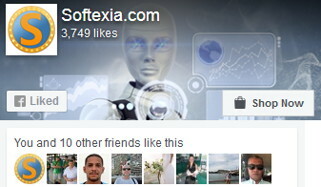 It includes smart tools for individuals, teams, and businesses. It can open your applications, documents anywhere, across multiple devices. Get the installed applications you know and trust – Word, Excel, PowerPoint, OneNote, Outlook, Publisher, Access. Always have the latest, full installed versions of Word, Excel, PowerPoint, OneNote, Outlook, Publisher, and Access. Capture your ideas however you work best – using a keyboard, pen, or touchscreen. Microsoft Office 2016 will offer new security, compliance, and deployment features. It gives organizations more control over sensitive data and IT more flexibility in deployment and management. Microsoft expands the Office footprint to iPad and Android tablets. Upgraded Office experiences on the Mac, the iPhone and on the web. Also have been added new apps to the Office family with Sway and Office Lens. Finally, you can keep your work moving, everywhere. Across the Office 2016 applications, it’s easier to use the power of feature-rich applications. You can access them from anywhere and on any device to create, open, edit and save files in the cloud from your desktop. In addition, new modern attachments in Outlook make it easy to attach files from OneDrive. Especially relevant, it automatically configure permission for the recipients – without leaving Outlook. Real-time co-authoring is available in the Office Online apps today. When you are working in Word 2016 and/or Office online, you’ll be able to see where other editors are working and what they are writing. All in real-time. Applications will learn as you work, taking advantage of subtle cues and clues to help you stay on task and get more out of Office. Tell Me is a new search tool available in Word, PowerPoint, and Excel. It serves up the commands you need by simply typing what you want to do. Clutter – a new Exchange feature that lights up in Outlook. It uses machine learning to analyze your email patterns. And de-clutter your inbox by moving lower priority messages out of your way and into a new Clutter folder. And Insights, powered by Bing, finds you contextual information from the web within the reading experience. Data analysis made faster and easier. New analysis capabilities are built into Excel,. So you can pull, map, analyze and visualize your data faster and easier than ever. One-click forecasting. Create forecasts on your data series with one click to future trends. Intuitive data connecting and shaping capabilities. With integrated Power Query, use Excel as your personal analysis workspace by connecting to and viewing all the data around you. Take advantage of a broad range of data sources, including tables from websites, corporate data like SAP Business Objects, unstructured sources like Hadoop, and services like Salesforce. Easy data modeling and powerful analysis. With improved Power Pivot features as part of Excel, map different data sets with drag-and-drop ease to build data models to give you the bigger picture of your business. Take advantage of intuitive analysis functions, automatic time grouping and other features. They enhance your PivotTable and PivotChart analysis experience. Publish to Microsoft Power BI Preview. Effortlessly publish and share your Excel workbooks to users of Power BI. New modern charts and graphs, including TreeMap, Sunburst, Waterfall, Box and Whisker and Histogram and Pareto in Excel help you to present your data in fresh ways. 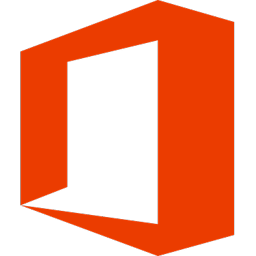 Microsoft Office 2016 is available in English, Arabic, Brazilian (Portuguese), Bulgarian, Chinese Simplified, Chinese Traditional, Croatian, Czech, Danish, Dutch, Estonian, Finnish, French, German, Greek, Hebrew, Hindi, Hungarian, Indonesian, Italian, Japanese, Kazakh, Korean, Latvian, Lithuanian, Malay, Norwegian, Polish, Portuguese, Romanian, Russian, Serbian (Latin), Slovenian, Slovak, Spanish, Swedish, Thai, Turkish, Ukrainian, and Vietnamese. Microsoft Office 2016 supports PCs or Windows tablets running Windows 7 or higher.